It's back for another round. Now with DK2 support! While I'm waiting on my own Rift DK2 so I can get to finishing up with Project: Ocarina, I felt I could stand to re-release the original Kokiri Forest demo with some DK2 support from the Oculus 0.4.0 SDK, and a few minor changes. Upgraded to OVR SDK 0.4.0. Now supports DK2! Changed lighting to baked in all of the scenes, excluding the Night scene. Should allow people to get a few more FPS if needed. Fixed a texture issue in the Collect Game scene. Changed the default loaded scene to a menu select. Creates a buffer before jumping into a scene in which the Health and Safety warning can display, and will help people know the other scenes even exist! Fixed a few issues with lighting bleeding through seams. Fixed the UV mapping/texturing on a few meshes. I'll update it for issues as I can. But again like before, I don't have a DK1 or a DK2. So depending on what issues might show up, I may not be able to. 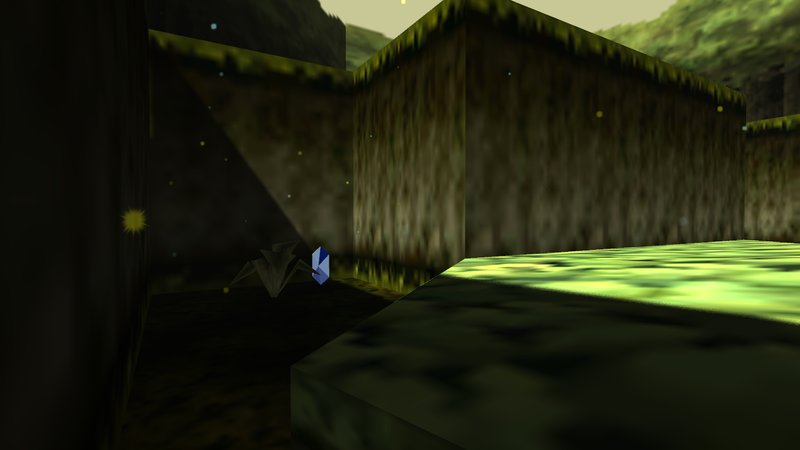 Project: Ocarina is still coming! I was going to release it in a "as is" state since without a dev kit myself I've had a hard time staying interested in the project. But thanks to Jesse and Graham that issue is set to be corrected in a couple months. So I'll be waiting for that to try and get it done to my original goals. Anyway, back to Kokiri Forest. Here are the downloads below! Changed to use DX11 now. This should fix the issue with using DirectToRift mode. Added lighting to the menu scene. There's a ReadMe.txt in the package that covers the general info, so please read it. NOTICE! 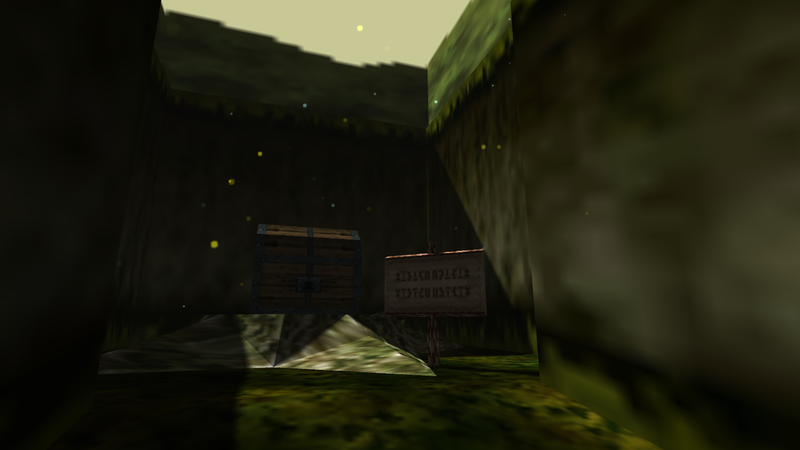 : As an extra, if you want another Legend of Zelda, Ocarina of Time experience in your DK2, you can check out my Zelda's Courtyard room for VRChat over on my VRChat Rooms page. It won't support positional tracking ATM, but VRChat is compiled with the 0.3.1 SDK, so it should work on the DK2 otherwise. ** These screen shots were taken with a normal monocular camera, but rest assured that this will work in the Rift like it's supposed to. Can you fix the link for the x64 version? Is this exclusive to the DK2? 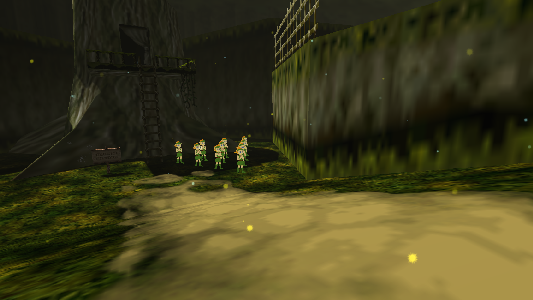 I tried running the x64 version on my DK1 and the left/right perspectives aren't lined up properly. It produces extreme double-vision, and the headtracking doesn't work. Is there any way for this not to be a .rar? I'm not sure what the double vision thing could be, other then a bug with the 0.4.0 version of the SDK, Eventually when Oculus releases a more significant version of the SDK (4.1 and 4.2 were meh), I'll try compiling it up again with that. For now, if you're using a DK1 you can just try an older version of the demo. There were no significant changes from 2.3 - 2.4/2.5 outside of the DK2 support. Just check my posts here from February for the older version. Rar should be fine in most cases. Winrar is free. So I don't know why .rar would be an issue. It's the most popular archive format. If a zip would be fine, I can upload a version in that, just for you. Just let me know. Is there any chance on a SDK .8 update or perhaps an update for the CV1? 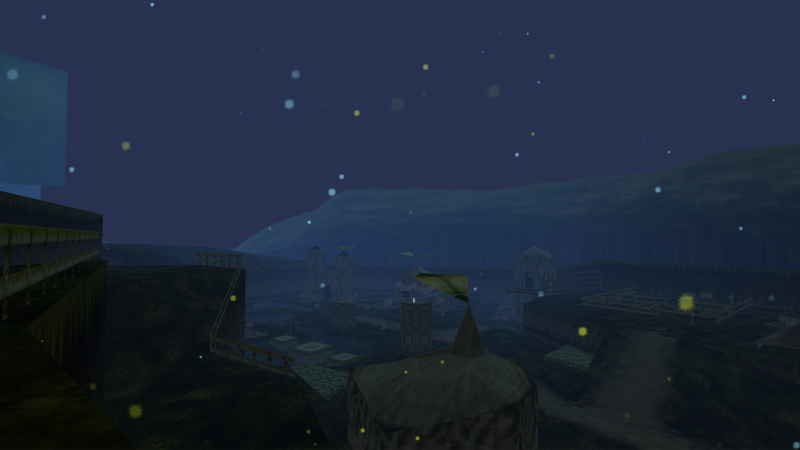 As I absolutely love coming back to the land of Hyrule in VR! Damn this is still like my favorite DK2 demo ever, and the only real reason I still keep one handy on my desk.